Avenues, monuments, museums, shops and shopping centers, bars, discos, concerts … Without doubt, Barcelona is a paradise for those urbanites who want to make the most of the big city. Of course: while it may seem shocking, the Catalan capital is also a perfect destination for nature lovers. The reason? 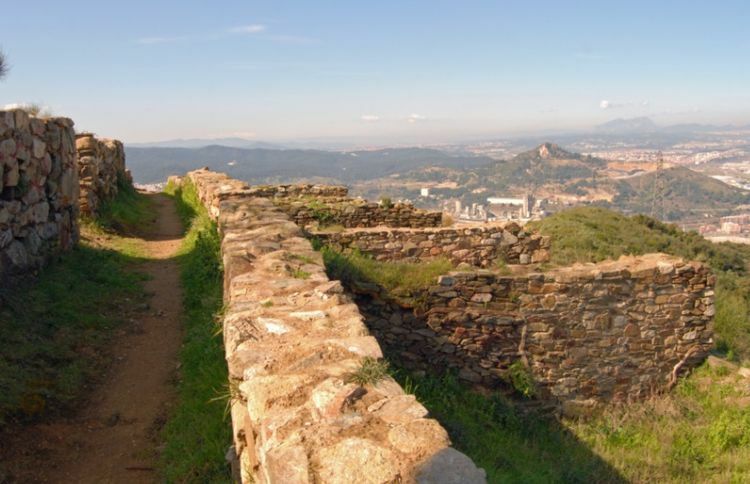 The infinite offer of hiking trails near Barcelona. Not all people who choose this location for a weekend getaway are aware of the magnificent natural sites available both around the city and the rest of the province. For that reason, today we want to put on our backpack and take a walk through the most photogenic natural places in the area. 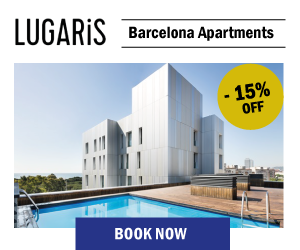 In addition, after an intense trekking day, you can relax and enjoy the best rest in our apartments for rent in Barcelona: Lugaris Beach and Lugaris Rambla. The mountain range that limits Barcelona from the west is a gift for the senses. Its more than 8,295 hectares of protected natural space are home to a great biodiversity and an extensive variety of landscapes, in which coniferous forests predominate. Also, it also has some architectural claims that will leave you speechless. These are the reasons why it is the perfect place for hiking in the mountains. 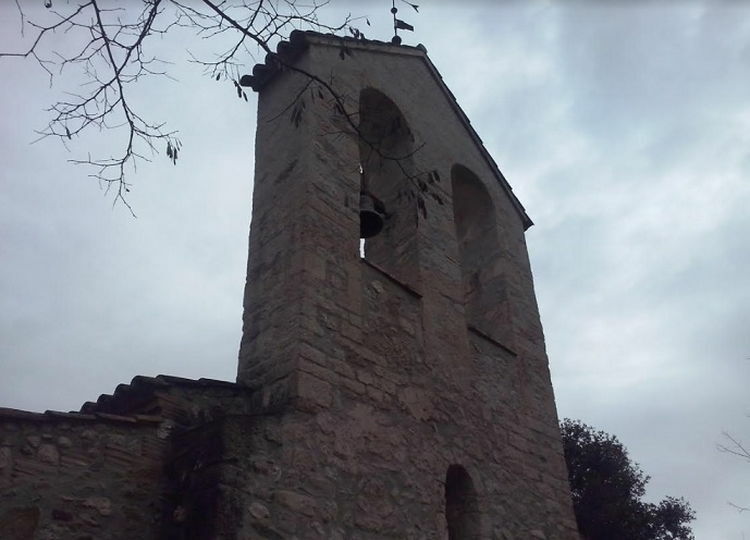 Among the places you cannot miss, the hermitage of Sant Medir, documented in 962 and belonging to the municipality of Sant Cugat del Vallès; the church of Sant Iscle and Santa Victòria de les Feixes (in the photo), from the 11th century and in the municipality of Cerdanyola del Vallès; the coll d’en Portell, a peak located at 351 m high and from which it is possible to enjoy unparalleled views over Barcelona, and the carretera de las Aigües, where you will find a train stop to return to your apartment on the beach in the most comfortable way. If you are a keen cyclist, take a look at the best cycling routes in Barcelona to know your way around Collserola. Next to the railway station of Baixador de Vallvidrera, you will find an information center, where you will be given all kinds of suggestions to enjoy the best routes. From the neighboring town of Santa Coloma de Gramenet, it is possible to take a simple and pleasant 7 km hiking route. After a steep initial climb, you reach the hill of the Pollo de la serra de la Marina. There, the Iberian settlement of Puig Castellar, founded by the tribe of the Laietans in the V-IV century BC, is located. It was abandoned in the second century BC, as a result of the Second Punic War. Its privileged location allowed its first inhabitants to control part of the Besòs River, while allowing visual contact with other nearby Iberian settlements. At a short distance, we find the Cau d’en Genís, a megalithic monument from 1200 a.C. and 900 a.C. Further on, stands the hermitage of Sant Climent (16th and 17th centuries) and, after a marked descent, the monastery of Sant Jeroni de la Murta (1416), where the Catholic Monarchs received Christopher Columbus on his return from his first trip to America. The route ends in the town of Badalona, connected to Barcelona by metro, train and bus. Taking the R-3 line of the Renfe commuter trains, you get to the Sant Martí de Centelles stop. Just 3 km from this point is the town of Aiguafreda, whose fountain of Lovers marks the beginning of a brief and bucolic circular route that combines nature and history. Following the signs, you will arrive at Gorg de la Sort, a small and beautiful waterfall whose waters can be crossed by going over a wooden bridge. 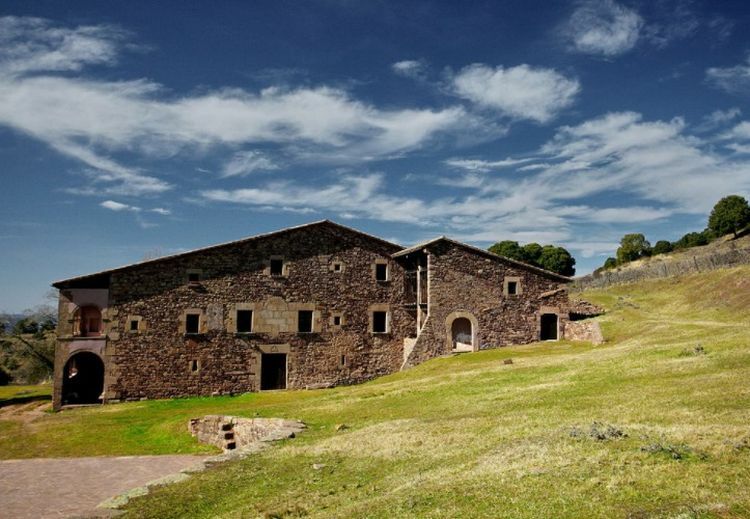 Minutes later, you will arrive at an art gallery located in a farmhouse and, from there, the church of Sant Martí del Congost, built between the 9th and 16th centuries. 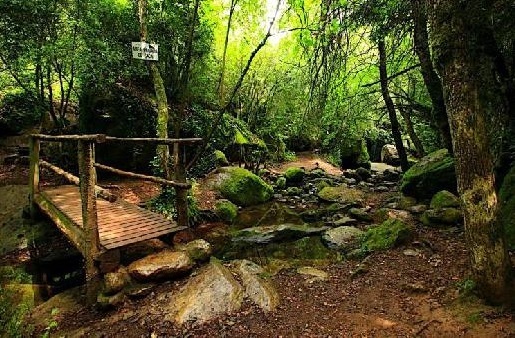 The Montseny Natural Park, created in 1977 and declared a Biosphere Reserve by UNESCO a year later, is another great option if you are looking for hiking routes near Barcelona. One of its most visited places is the top of Tagamanent, a peak of 1,056 m in altitude that offers a panoramic impression of the surrounding forests. Although the ascencion becomes monotonous for some people, we assure you that the views you get will be your greatest reward. To get to the point of the ascent, you can take the suburban R-3 line and get off at Figaró stops (2.1 km from Tagamanent); Sant Martí de Centelles (at 5.83 km); La Garriga (6.5 km) or Centelles (7.3 km). One of the branches of the Jacobean route, the Camino de Santiago Catalán by San Juan de la Peña, starts in the province of Barcelona. 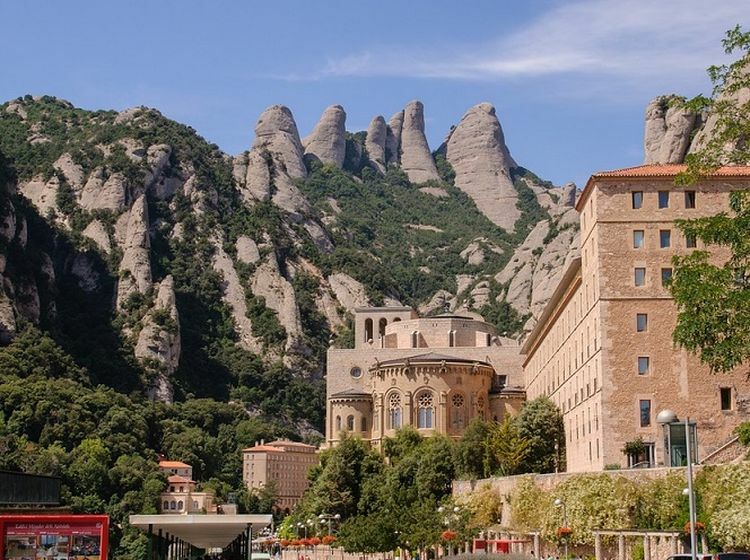 And specifically, in one of its most iconic religious and natural spaces: the mountain of Montserrat, accessible by train from Barcelona city. In its hostel of pilgrims (once there, ask for the Pastoral Coordination Center), the first stage of this pilgrimage route begins, with 27.2 km and medium difficulty. The trip runs through the lands of Bruc, the villages of Sant Pau de la Guàrdia and Castellolí, the industrious and commercial capital of the Igualada region, from which you can return to the city of Barcelona by train or bus. Can you imagine being able to view a Moai without having to travel to Easter Island? And no: we are not referring to the Natural History Museum of New York or the British Museum, but to Barcelona. 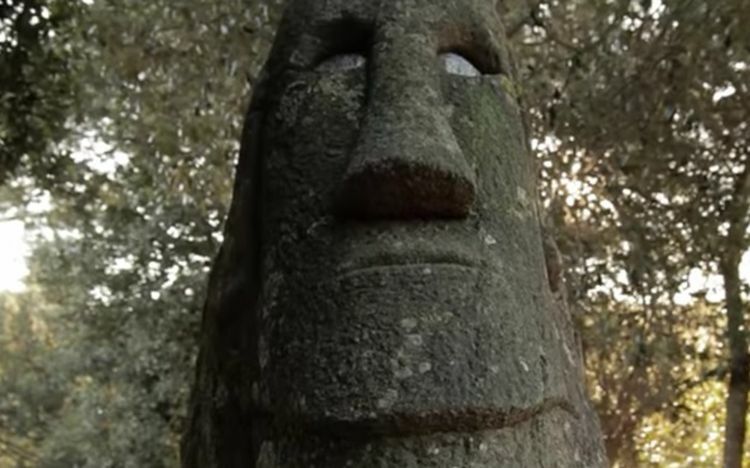 One of these curious sculptures awaits you in the enchanted forest of Orrius, in the park of the Serralada del Litoral. This charming space, perfect for a walk, exhibits various sculptures carved in stone by an unknown author, among which is the one we mentioned at the beginning of this paragraph. Also, just behind, you will see a large rock that recreates the silhouette of an elephant. We are planning to visit Montserrat on our visit to Barcelona, as we are avid walkers and have heard so much about this Mountain. I would like to know what is the best way to reach this route from Barcelona. We have an article on our blog regarding everything you need to know to visit Monsterrat. Here you will find all the information you need on how to find the best routes.